Season of Mist posted again for free listening the full-length metal bands' releases. 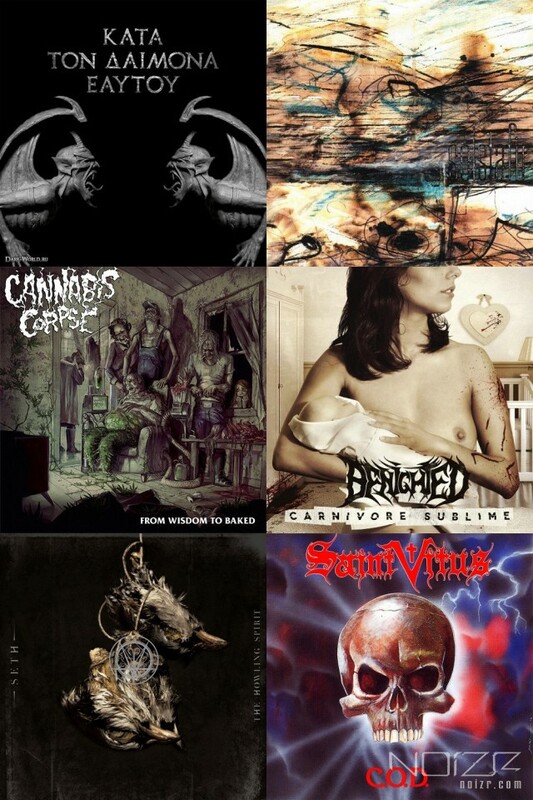 This time on YouTube there were posted the last albums of Rotting Christ, Seth, Cannabis Corpse and Benighted, as well as old-school album "Children of Doom (COD)" of the Americans Saint Vitus and the debut album "Í blóði og anda" of the Icelandic group Sólstafir. The label previous stream you could find by following the link. The Icelanders Sólstafir's debut album "Í blóði og anda", released in 2002, is significantly different from the modern sound of the band. "Κατά τον δαίμονα εαυτού" is the last full-length album by extreme metal band Rotting Christ, which the Greeks presented at the concert in Kiev last year. "The Howling Spirit" is the last album of the French black metal band Seth. The seventh studio album "Carnivore Sublime" of death metal band Benighted, which was released in 2014. The album "Children of Doom (COD)" of 1992 year by the old school American doom metal band Saint Vitus.